﻿ Seastone Private Pool Villas, Phuket | FROM $81 - SAVE ON AGODA! "In house services are available until 9pm The staff are very..."
"Enjoyed the 2 bed-room pool villa." "Many thanks for this villas it was very very nice." 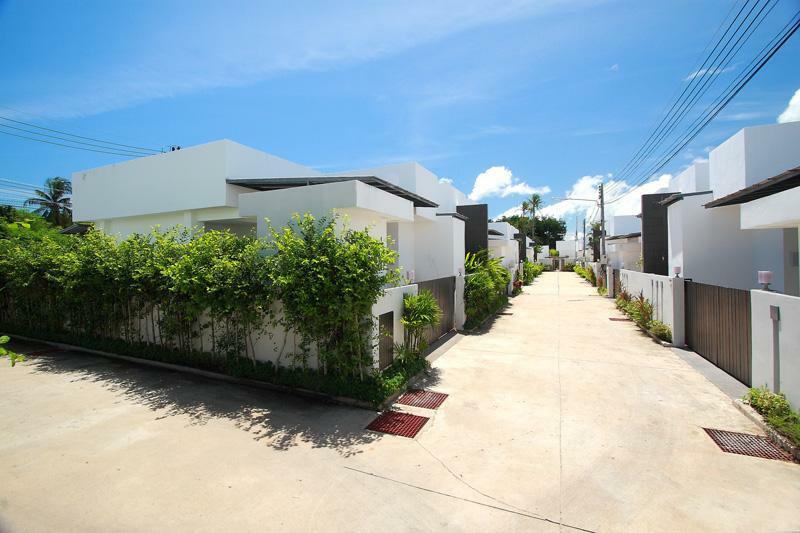 "The space is great, the rooms are comfortable and u have all..."
Situated in Bang Thao, Seastone Private Pool Villas is the perfect place to experience Phuket and its surroundings. From here, guests can enjoy easy access to all that the lively city has to offer. With the city's main attractions such as Banyan Tree Golf Club, Wat Thep Krasattri, Laguna Phuket Golf Club within close reach, visitors to the hotel will just love its location. 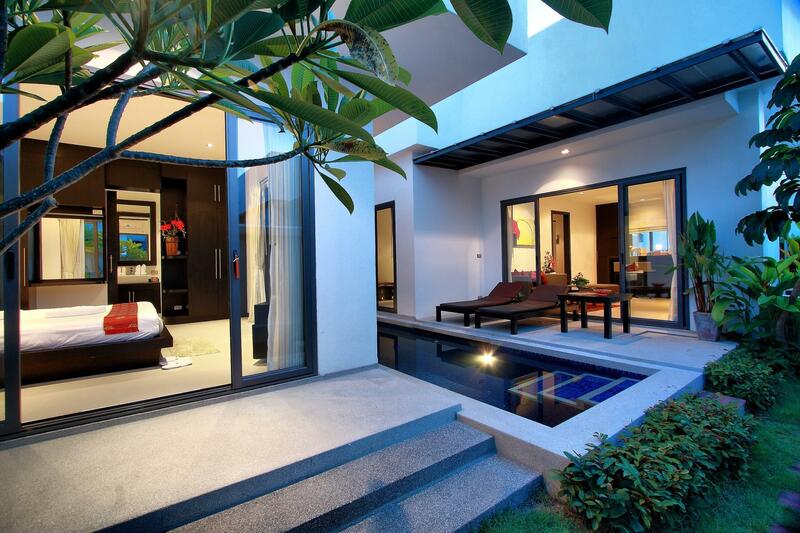 At Seastone Private Pool Villas, every effort is made to make guests feel comfortable. To do so, the hotel provides the best in services and amenities. To name a few of the hotel's facilities, there are free Wi-Fi in all rooms, 24-hour security, daily housekeeping, 24-hour front desk, express check-in/check-out. 15 rooms spread over 1 floors provide a warm and pleasant home away from home. Modern comforts such as television LCD/plasma screen, television in bathroom, private pool, internet access – wireless (complimentary), non smoking rooms can be found in selected rooms. The complete list of recreational facilities is available at the hotel, including hot tub, golf course (within 3 km), outdoor pool, spa, massage. Seastone Private Pool Villas is a smart choice for travelers to Phuket, offering a relaxed and hassle-free stay every time. "Good service nice place to chill ;"
Recommended to rent a car while staying here. Its an old villa. But it’s OK. A 10 min drive to night markets. A 20 min drive to the airport. It’s quite accessible to many places provided you rent a car. Good villa. Big private pool. Near the beach. STay was very comfortable and staff were very helpful. VIlla was a little hard to find. A small 24 hr family mart nearby was real nice for snacks and food. WIll need a car to get around easily. STay on the whole was enjoyable. We enjoyed staying at the 2 bedroom villa eventhough we suggest the pool to be cleaned more often especially before new guests check in. The staff was sweet, friendly, helpfull and kind. the villa is very clean and the houskeeping is fast and efficient. Good size kitchen was mostly what you need and big fridge. wifi access in the villas is good. entertainment system is good and many channels to watch. It was a good place we loved it! Location is far from patong, kata etc. During check in, was send to another run down mosquito infested ‘villa’ the staff told us that the villa i book was all full and had to wait another day before they shift us back. Bathtub water and heater not working well, shower heads water pressure is little. relaxing chairs were run down and torn. Shift back to the suppose villa and yeah. Same thing. Their toilets were dirty and run down. The water heater is an issue. Their hotel truck are park at a incovenient spot which makes my car hard to turn out everytime. 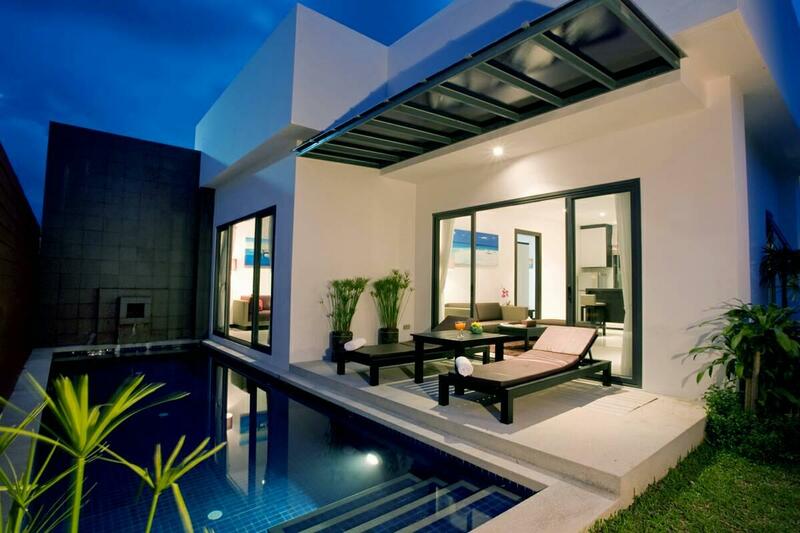 Villas at Seastone is a gated compound of several individual pool villas each with a parking lot. There is a security guard and a Reception office. We booked a 2-bedroom villa. Each bedroom comes with its own toilet/bathtub/bathroom, which is huge. Pool is about 10m, good for relaxation. Breakfast is decent, offering a choice of American or Thai menu. Location is indeed quite far from the main road and also from shops, so its best to have a car. The only negative I experienced was that the bedroom aircon was very noisy and not cold enough. They should simply replace old aircons. The living room aircon was very new and nice. it is away from town or the crowd at least 45 mins (by car)... very quiet and peaceful area without must disturbance. enjoyed the 2 bed-room pool villa. For the money that paid, it is very worthy. Enjoyed the peace the place had to offer. We enjoyed our private pool daily. As we drive, we had no problem accessing all the tourist spots on our own but if you don't have a car, I won't recommend as this place is away from town area. After 3 days, the breakfast do get boring as there are not that many choices but there's a supermarket within walking distance. The bathroom and bathtub is bigger than my own bedroom. The space is great, the rooms are comfortable and u have all the privacy to yourself. Wake up and jump straight into the pool at your own privacy. Such a Romantic, Nice and safe place. Breakfast was amazing. No complains. We have been here many times and have brought friends with us previously. Such an amazing villa! Definitely would keep going back. Very private and amazing room service food! Villas are super nice and comfortable. staff is helpful and friendly. located far off but the area is quiet and pleasant. it's better if u have your rented car or bike. the only turn off was the springs in beds .. I don't know if the beds are same in all the villas but villa D had a very uncomfortable bed. its really nice to stay seastone, although its a little far from the town/beach. so you barely can see noisy tourists, thats awesome, but remember to borrow bicycles from the office, it will be much easier for you to travel around.